AutoCAD Civil 3D 2016 Productivity Pack 3 is now available! We are happy to announce that the Productivity Pack 3 for AutoCAD Civil 3D 2016 is now available. This extension is another benefit for Autodesk subscription customers. More about it could be found here. To download it log in to manage.autodesk.com and look under Civil 3D. in Updates & Add-ons you should see it listed. In case you were wondering whether the Civil 3D 2016 Productivity Pack 2 is available and where to install it from here comes the post to help you with that. There are two preferred ways to access installation files - Autodesk Desktop App and Subscription site. This product enhancement is available for Subscription customers from your subscription site (https://manage.autodesk.com/). You can can select your product version and click on "Updates & Add-ons". 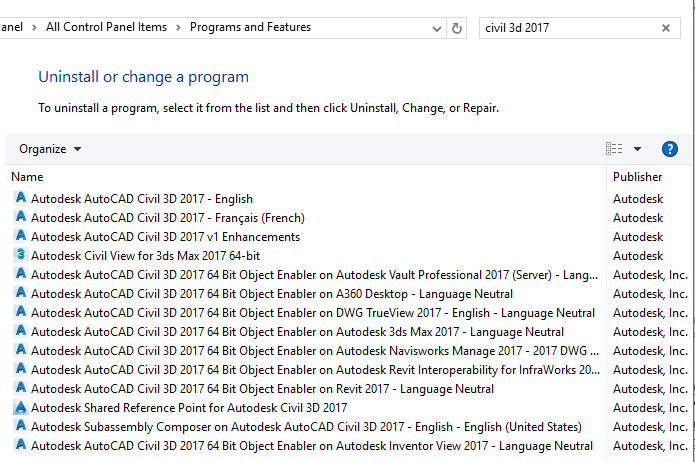 This will populate the list of all available updates for all versions of Civil 3D but only those applicable to Civil 3D 2016 will be enabled. From that list you may scroll down until you see Productivity Pack 2. Second way is to utilize Autodesk Desktop App. First you need to login to your account and then you will be able to see all available updates. This Desktop App is smart enough to know who you are and what products you have installed on your machine and will display what you have been missing. If you don't see what you are looking you may need to check if you already have it installed or is your login OK.
You can download InfraWorks 360 2016.4 from this link. Autodesk® AutoCAD® Civil 3D® 2016 Service Pack 2 is available! In a continuing effort to provide high quality products, Autodesk has released Autodesk® AutoCAD® Civil 3D® 2016 Service Pack 2, which fixes or addresses a variety of issues discovered by Autodesk's internal testing team and by customers using the Customer Error Reporting Utility. The Service Pack2 for Civil 3D 2016 can be downloaded from this link. You can also download Service Pack 2 from manage.autodesk.com site. As always please check readme for list of addressed issues and installation instructions. Note: Civil 2D 2016 SP2 includes: Civil 3D 2016 SP1 and AutoCAD 2016 SP1. If you were unable to find the download from River and Flood Analysis 2016 software when Civil 3D was first released you were probably wondering how and when you will be able to get it. This module has been released and can be found under product enhancements on the Autodesk Account site. Log in with personal credentials. Under the "Management" tab select "Product Enhancements" from the quick links section. On the product enhancements page the module can be found in this list as "Autodesk River and Flood Analysis Module".